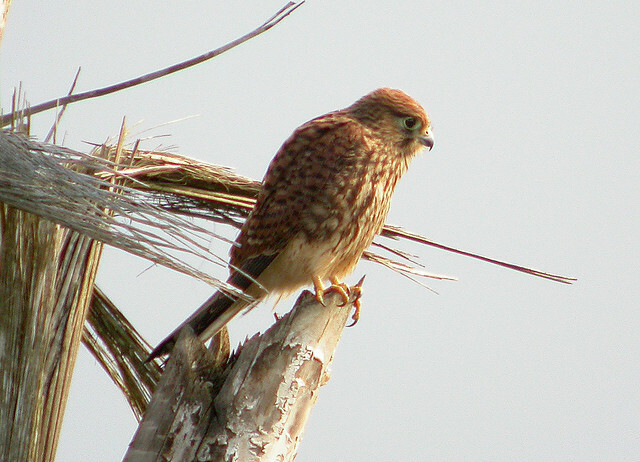 Spread throughout Australasia, Indomalaya, and most of Wallacea, the Spotted Kestrel inhabits grasslands with scattered trees, lightly wooded cultivation, and the edges of primary and tall secondary forest. Along logging roads, it occasionally penetrates forests, and sometimes inhabits clearings within forested areas. It has also been known to live in areas of human habitation. The Spotted Kestrel feeds primarily on small mammals, birds, lizards, and insects.